One thing I noticed was that both airlines I used on this trip, Kingfisher Red and then Indigo, seem to have put in place some cost cutting measures like keeping the air conditioning switched off right till take off. Though their point of view is appreciated, spare a thought for all the junta packed together like sardines in a can, everyone using newspapers and the in-flight magazines to fan themselves and provide some respite from the stifling heat and BO. 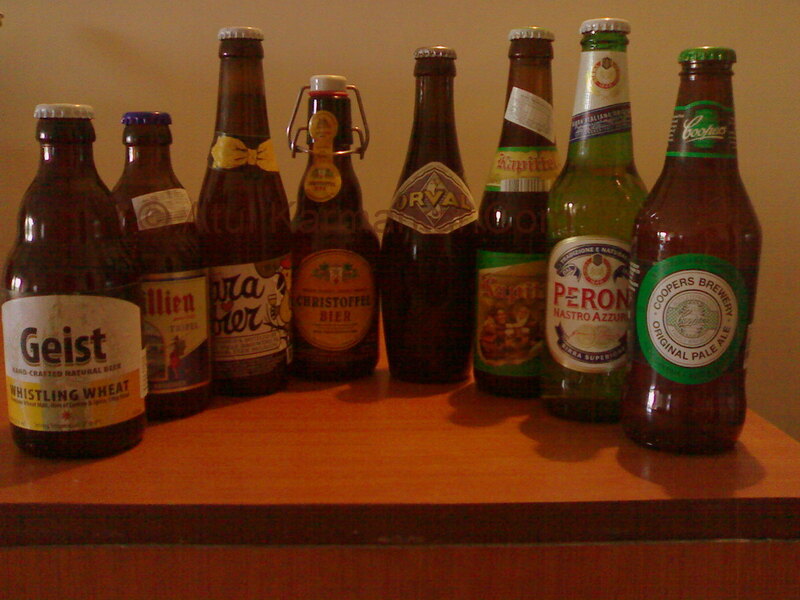 Oh and another thing… managed to pack in a case of Belgian beer, selected and gifted by bro-in-law. Of course, in the hurry, I forgot to have my check in baggage marked “Fragile”, so was hoping nothing was amiss as I unpacked my stuff. Luckily, everything was fine and obviously, a photo of the magnificent eight had to be taken !